Bún chả Hương Liên, a family-run restaurant serving rice noodles with grilled pork, on Lê Văn Hưu Street in Hà Nội, is well-known for its other name – ‘Bún chả Obama’. The former US President and Anthony Bourdain, an American chef, author, and television personality enjoyed simple Vietnamese food at the spot in May 2016. Since then, the restaurant has been crowded with diners from all over Việt Nam as well as foreigners. 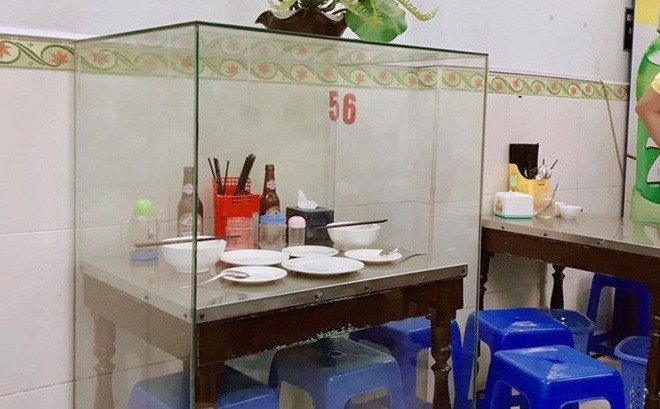 Its owner, a woman named Liên, carefully washed the dishes, plates, spoons and chopsticks that the two men used and stored them in a safe place right after the meal. The owner has recently set up a corner of the restaurant’s second floor as a ‘museum’, honouring her distinguished guests. A set of plates, spoons, chopsticks, two bottles of beer and other items are organised exactly as they were on the table where Obama and Bourdain ate together. Of course, the iconic low plastic stools are included. To preserve the moment forever, the setup is surrounded by protective glass. Now diners visit the restaurant not only to eat but also to see the display. Liên said that diners suggested she display the dishes. Many people called her to ask if she wants to sell the table, stools or empty beer bottles. Some people think that this is a promotion strategy. Others doubt whether the dishes, spoons and chopsticks are really the ones that the former president used. No matter how the public has responded, Liên told media that it is not to promote her eatery but to save the memorable image.